Basile the Comedian is well known around the world. 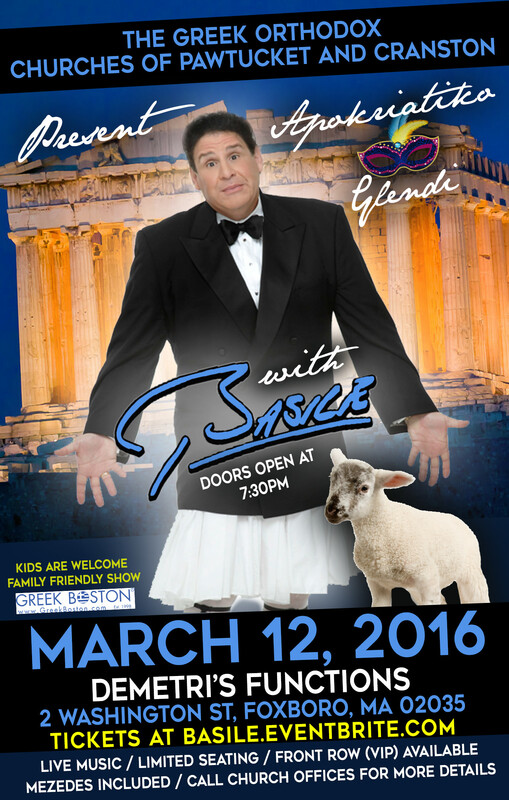 He will be performing “Growing up Greek in America.” Basile has over 100 television appearances throughout the world, including HBO, Showtime, Comedy Central and the Jay Leno Show on NBC to name just a few. Our Churches have come together to create a memorable evening for the whole family. Be prepared for live music, lots of laughs, and memories for years. Please visit basile.eventbrite.com for tickets.